The Vertical series is the ideal solution for pumping from wells or tanks. It is suitable for pumping viscous and non-viscous products as well as abrasive or aggressive ones. 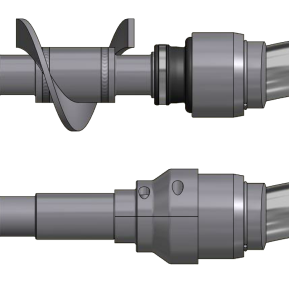 Available with outlet flange connections UNI, DIN, ANSI and GAS BSP; the suction nozzle instead is made with a particular design optimized for priming the product in which it is lost in. The length is totally customizable according to the setup requirements. The stainless steel version (AISI 304 or AISI 316) has a protective jacket that covers the stator as standard to prevent it from corrosion. There are two standard configurations availables: the short version and the long version. The difference is in the length of the installation with which they are required for. 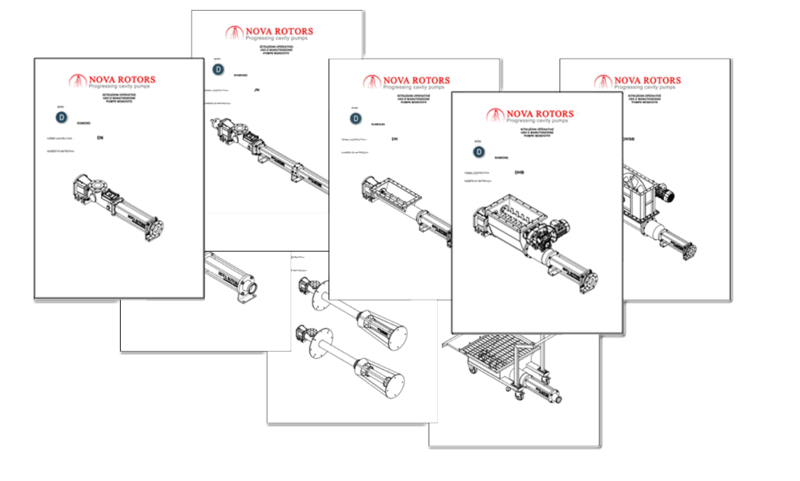 The short version is compact, robust, easy to install.The long version instead allows installation in deep wells or tanks, and presents a complete series of dedicated optimizations such as the removable inlet for easy maintenance of the rotor, stator and coupling. A fundamental characteristic is the support of the downhole baseplate, with a clamping cone which makes the pump very stable and vibration free even in extreme conditions of use. Both series are always configured in a monobloc arrangement. 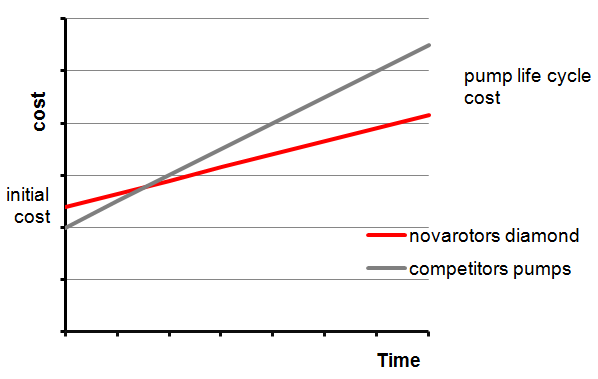 DV Short version: Compact. This version allows installation with only anchor plate. 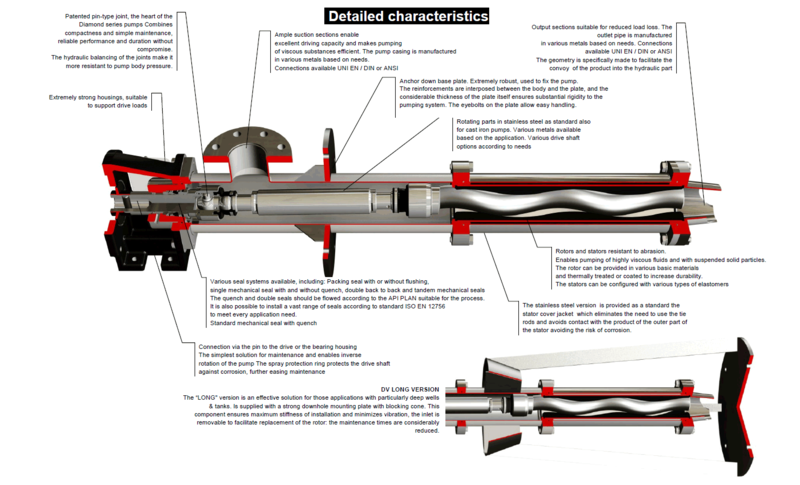 DV Long version: This version requires to be fixed with a downhole baseplate with the clamping cone to minimize the vibrations and oscillations of the pump caused by the considerable length of the pump itself. The pin-type joint, the actual heart of the single screw pump, is the best solution of its type on the market. It offers greater durability, reliability and reduced maintenance costs, managing to combine extreme compactness with unrivalled strength. Its particular manufacturing enables the sub-division of axial loads and torque in different elements, making it one of a kind. As well as the above, replacement of worn parts is cheap thanks to the bushes in the worn zones, avoiding costly replacement of parts (rotor, drive shaft, and female drive shaft. 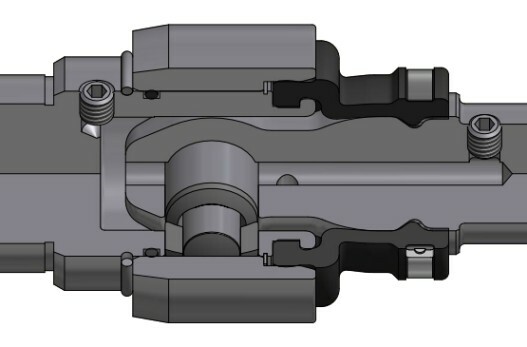 To resist high pressure in the pump casing up to 12 bar, the pin can be hydraulically balanced. The base plates, characterized by considerable thicknesses, are very strong. Available in carbon steel or stainless steel. 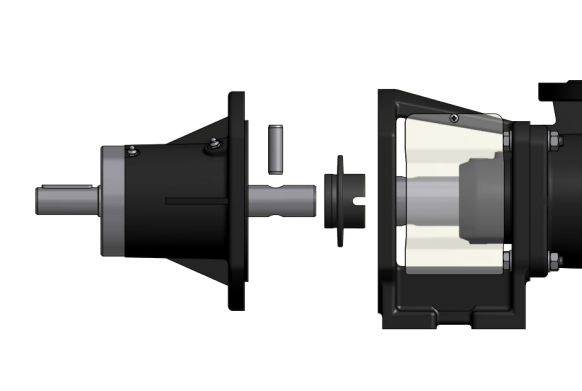 The parts in contact with the product of the DV Diamond Series pumps can be manufactured in various materials. From the version in cast iron to stainless steel (AISI 304 and AISI 316), as well as other materials on request such as Duplex and Super Duplex. Also, in the version in cast iron, the rotating parts are still manufactured in stainless steel AISI 420 or on request in AISI 304 / AISI 316. 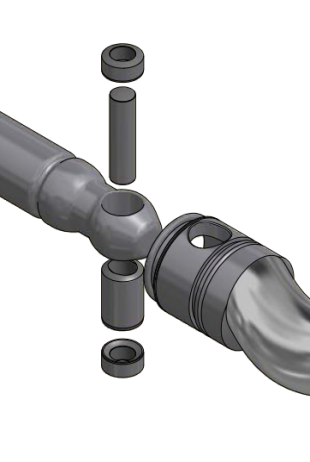 Different sealing systems can be installed, each solution being suitable to specific usage. The types available are: mechanical seal, single outer mechanical seal, single mechanical seal with quench, back to back double mechanical seals and double mechanical seals in tandem, Packing seal and flushed packing seal. 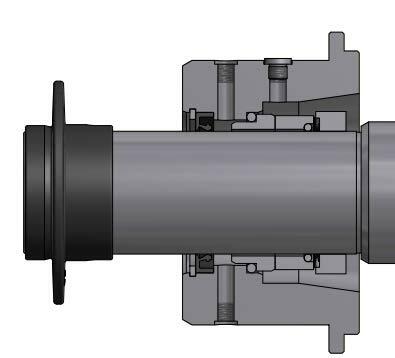 The sealing systems are all interchangeable on the standard pump. Each solution was carefully engineered while taking into consideration all the operating conditions. As well as changing the sealing system, you can also install various types of mechanical seals based on the application. Botton downhole plate with fixing cone. Fixing system on customer specific.